That's the question that the nine board members of electric car and solar panel maker Tesla Inc. must answer after Elon Musk, the company's impulsive leader, admitted to The New York Times that work is rattling his nerves in what he described as the most "difficult and painful year of my career." His comments confirmed what many in and out of the company had suspected as Musk conceded that exhaustion was affecting his personal health and that friends have come by "who are really concerned." The interview and other actions, Gordon said, are signs that Musk no longer can handle the CEO job. Musk spent nights at Tesla's Fremont, California, factory working out production problems on its new Model 3 car that is supposed to take Tesla from niche luxury carmaker to a mass producer that competes with Detroit. But Gordon said a CEO wouldn't live at the factory. Instead, he or she would form a team to work overnight and solve problems. In the interview, Musk stood by his Aug. 7 tweet saying he had secured funding to take Tesla private in a deal that could be worth more than $20 billion. But he told the newspaper that he wrote the tweet inside a Tesla Model S while he was driving to the airport, and that no one else reviewed it. Musk, 47, has a reputation for being an eccentric visionary. 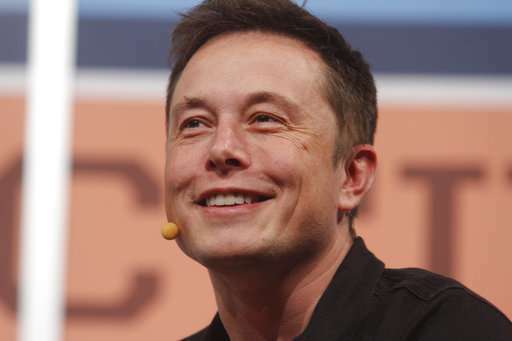 But his out-of-the-blue go-private announcement raised a huge ruckus and pushed Tesla's shares up 11 percent in a day, raising the company's value by $6 billion. They've fallen back, including a 4 percent decline in premarket trading Friday to $323.50. Tesla didn't respond to requests for comment from The Associated Press early Friday. The New York Times said that in response to questions for its article on the interview, Tesla issued a statement from its board, excluding Musk, that stated: "We would like to make it clear that Elon's commitment and dedication to Tesla is obvious." Some of Musk's stress comes from critical stock short-sellers who are betting against the company's success. But much of it comes from Musk's own statements issuing lofty goals for production of cars or turning a sustained profit starting this quarter. Tesla has never made money for a full year and has had only two profitable quarters since it went public in 2010.